FOLLY BEACH, North Carolina — A proposed beachfront land swap here between the city and two property owners has come into public view at an awkward moment — just as the city argues in a lawsuit that at least some of the land in question can’t be privately owned at all. Negotiations surrounding two mostly sandy parcels at 1217 and 1219 E. Arctic Ave. started in January, Folly Beach officials said, as the property owners there were granted a permit to build a seawall. The two pieces of land don’t face an asphalt road, but they are next to a public right of way remaining from an earlier time when the paved street extended all the way to East 13th Street. City Administrator Spencer Wetmore and Mayor Tim Goodwin said negotiations began in an attempt to keep the new seawall as far from the ocean as possible. City officials suggested giving the remaining 50-foot right of way to the private property owners if they moved the opposite edge of their parcels away from the ocean by 50 feet. 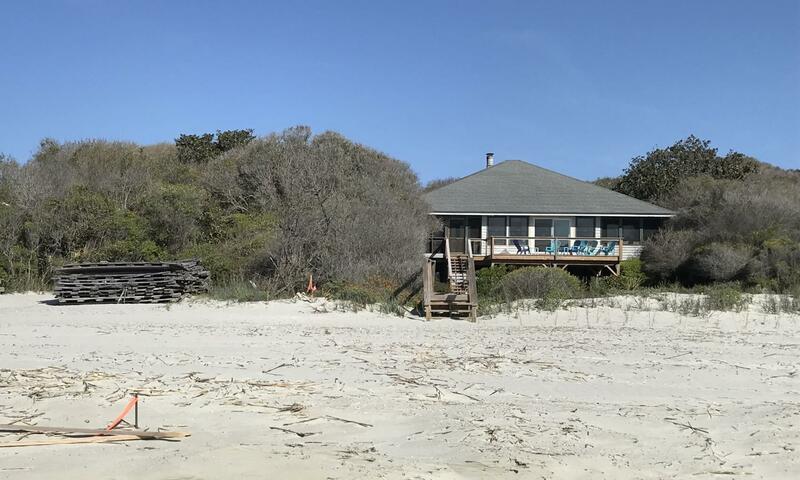 The situation has sparked controversy on Folly, in part because of the pending lawsuit, filed about a month after land swap talks began. The legal action could set precedent for beachfront land across South Carolina. But the land swap has put the city in conflict with some fellow plaintiffs on the suit, including Troy Bode, who lives near the end of East Arctic.